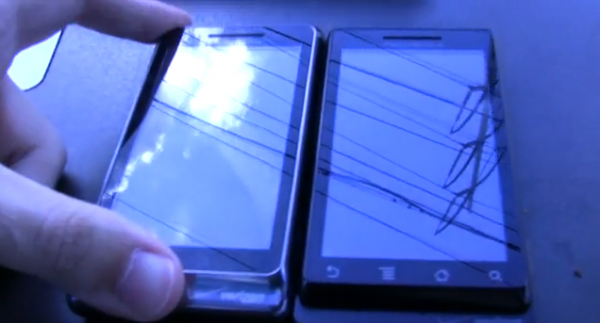 The guys at Android and Me snagged a few moments with both the Droid X and Droid 2 this weekend, and really give you the first side-by-side between our old staple and its follow-up which we expect to drop in August. Overall they’ve given it essentially the same thoughts that we had from our first exclusive photos a few weeks back, meaning it’s identical to the Droid 1 but with a much faster processor and the addition of the new Motoblur. We expect the announcement of this device to be made on Wednesday which should also clear up some confusion about the OS that Verizon and Motorola plan to ship with it.